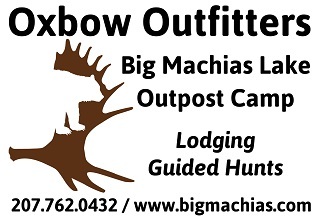 Our hunting season starts with the bear season late August thru September. We successfully hunt over baits with one active bait per hunter and a cabin included in the hunt. We use elevated tree stands or ground blinds for hunters who use rifles, handguns, muzzleloaders, bows and crossbows. Our team of Registered Maine Guides is available to help out with any problems that arise. On fully guided hunts, our Guides transport you to and from bait site, and retrieve, field dress, skin and quarter the bear for you.